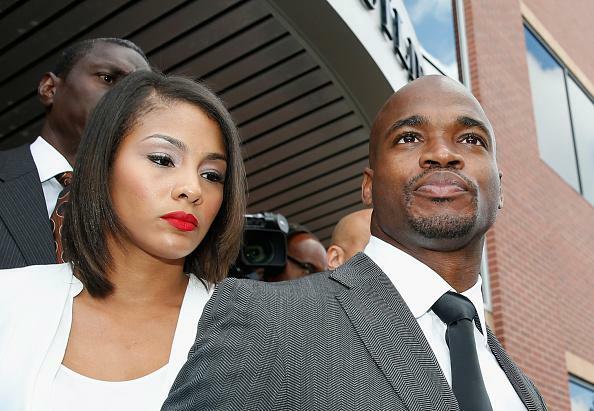 Adrian Peterson plea deal: No jail for accused football star in child abuse case. Peterson after an October court appearance. If the agreement is accepted by Judge Kelly Case, Peterson will pay a $2,000 fine, be placed on probation, and perform 80 hours of community service. Technically, the adjudication of the case will be deferred for two years. Peterson was indicted in September on a felony charge of causing injury to a child after allegedly beating his 4-year-old son with a tree branch in May. NFL.com writer Ian Rapoport said Monday on Twitter that Peterson, who has missed eight games due to suspension as the case against him has proceded, would not be immediately reinstated and allowed to play if he were to make a plea. The NFL this morning declined to announce a timetable for a decision on Peterson’s status.